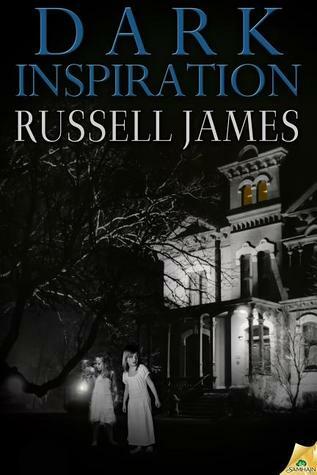 Russell James' debut novel for Samhain Horror, Dark Inspiration, is an entertaining read for those who enjoy classic, cursed-home stories. Offering solid characterization, tight prose and consistent pacing, it's a fine read invoking the classic themes of possession and obsession overtaking the unwitting in their pursuit of personal gain. Doug and Laura Locke's life has stalled. Though Laura's happy teaching in an inner city school and Doug's carved out a lucrative career writing for the tabloids, neither of them are satisfied with their lives. Laura feels disconnected from Doug, and though Doug has gained a measure of notoriety, dreams of writing that "Great American Novel" have all but faded from the horizon. After a school shooting that lands Laura in the hospital, they realize the need for change. With a new sense of togetherness and resolve, they purchase and move to an old horse farm in Tennessee. Laura lands a long-term substitute position in the local school district almost as soon as they move, and the beautiful farmhouse they've purchased - for a "steal" - works like a tonic on Doug's long atrophied muse. It's not long before Laura feels right at home in her new classroom, and Doug's pounding away at the keys, writing as he never has before. But all is not well at the Galaxy Farm. For this house holds secrets. Its previous owners died tragic deaths, and no one in town wants to talk about them. Before long, Doug discovers the attic...and all the wondrous "things" it contains. Laura becomes enthralled with two ghostly visitors - little girls who died in the pound outside the house - and neither Doug nor Laura are aware of the insidious, creeping force working into them, from the house itself. Even with the help of a local, recently-divorced psychic warned by bloody premonitions of danger, it might be too late for Doug and Laura to escape the malevolent entity that owns Galaxy Farm. Dark Inspiration is another solid offering from Samhain Horror. There's nothing astoundingly new in the story of an evil entity haunting a house, tempting and corrupting a writer as he labors on his first novel, but it's still competently done here, and quite frankly, it's not trying to be anything else other than what it is. There's a nice, unique angle involving the Egyptian occult, and the story does delve a little deeper than the standard: "person who died bad death haunting old house." Though the story's resolution feels a little rushed, Dark Inspiration is another solid contender in the Samhain Horror line-up.